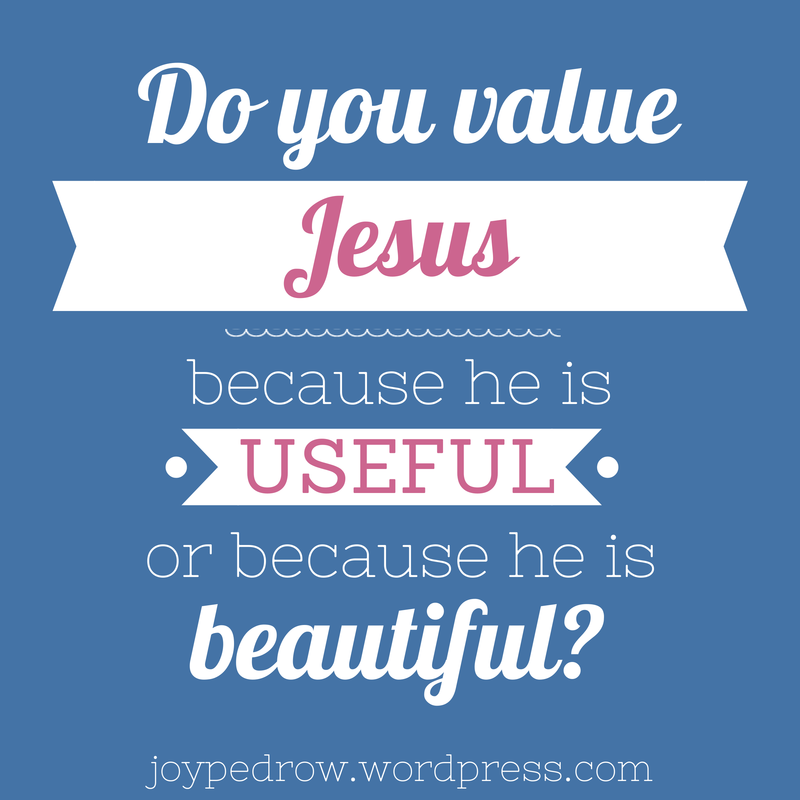 Do you value Jesus because He is useful or because He is beautiful? Lately, I’ve been asking myself why I value Jesus. Do I value him because he is useful or because he is beautiful? It is easy to forget about the beauty of Jesus, and it is even easier to focus on your own needs and desires. To figure out why I value Jesus, I went to my journal and looked at what I’ve been praying for. None of my recent prayers have been thanking Jesus or admiring Jesus. They have been about me and my wants. Jesus, help my friend love me. Jesus, help me rid my addiction to sugar. Jesus, use me to further your kingdom. Jesus, help me. Jesus, help me. Jesus, help me. When my need is gone, then my relationship with Jesus will be gone. Jesus doesn’t want that for us. Jesus is not a magic genie. Jesus is our one true love. Jesus is our prince charming. Yes, we can pray for these things, but if we only pray for our needs we are missing out on all he has to offer! I need to constantly remind myself that this life has nothing to do with me, but has everything to do with God. Ladies, today we need to check who is on the throne of our life. Is it us? Are we in charge? Are we the center of attention? Or is it Jesus? Is he the focus and the center of everything? Look at your prayers, your life decisions, your thoughts, and you’ll see who in on the throne. “I have been crucified with Christ. It is no longer I who live, but Christ who lives in me. And the life I now live in the flesh I live by faith in the Son of God, who loved me and gave himself for me.” Galatians 2:20. It is no longer I who live, but Christ who lives. 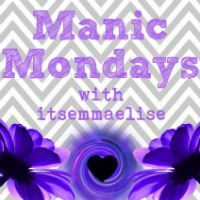 I want my life to not be about me, but about Jesus. I want to worship and follow Jesus because he is beautiful. I hope you’ll join me on this journey. Do you follow him only because of what he gives you? Do you only pray to him asking for help? Join me in finding joy in the journey. 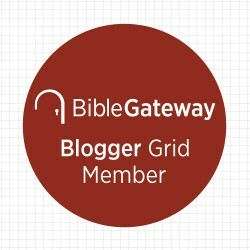 Nervous about leading a Bible study?